Island units are a central design feature of many larger kitchens while peninsulas can work well in smaller rooms. Whether you’ve designed the space for better food preparation or addition storage, or to act as a breakfast bar or dining table, the eye will be drawn to one dominant element in the room. However, only with the right lighting will your kitchen island truly come to life. For everyday tasks in the kitchen, a pendant light is a good solution. If you’re looking for inspiration, there’s a wonderful array of beautiful styles and designs available out there (see guide from Universal Lighting below). However, before you get carried away with the wealth of product choice to show off above the kitchen island, it’s important to consider the precise lighting needs of your kitchen/diner first. Start by looking at the levels of natural daylight entering the room, any existing lighting fixtures and other items already suspended above the kitchen island – a cooker hood, spice rack or saucepan rack perhaps? A pendant light is an excellent solution to give you good levels of general illumination. For larger kitchens (or large islands), fitting a row or group of pendant lights might be necessary for adequate coverage, or you could choose a multi-bulb light fitting rather than a single bulb pendant light. Select a brighter light bulb for food preparation and food serving, and a softer light for entertaining and socialising. General levels of lighting should be supplemented with task lighting for specific jobs that require extra illumination. If you choose a pendant light, make sure that the bottom is either open or covered in translucent glass, so that the light is bundled and funnelled downwards and directed towards the task. If case the emitted light is too harsh for anything other than kitchen prep work, you could fit a dimmer switch for easy adjustment. In addition to enhancing your kitchen functionality, you can use artificial light to highlight or downplay particular elements in the room. A favourite artwork, and interesting architectural feature, a sparkly quartz worktop, a beautifully set dinner table – why not use accent lighting to help you set the scene? The smaller the diameter of the light fitting, the narrower and more intense the light shaft will be. Finally, did you know that lighting can be used as a feature per se? Assuming all other lighting needs in the kitchen have been covered, why not use a stylish light fitting as a design statement in its own right? Whether you choose a beautiful pendant that gives a soft glow or one that creates drama and interest, sometimes it’s the interplay of light and shade on the wall or ceiling that gives the wow factor. Positioning your light in the right location and at the right height above the kitchen island will make a big impact on the look and functionality of the light fitting in the room. Hang your pendant approximately 80-90cm above the worktop surface for optimum task lighting. Position your pendant a little higher for best ambient lighting results. Glass and other translucent materials will provide a better light coverage in all directions. Decorative lighting can be placed wherever you choose and wherever it looks best – there are no hard and fast rules. However, unless you want your kitchen to look like a lighting showroom, perhaps steer clear from too much mixing and matching of styles. 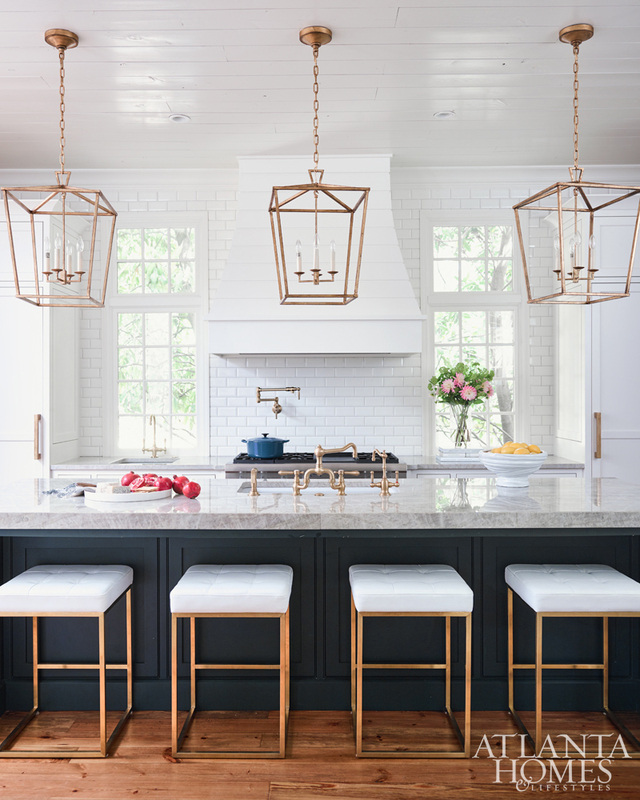 With pendant lights available in a vast array of designs and styles, there’s every chance you will find the perfect solution to complement your kitchen island. To achieve a coherent room scheme, you could coordinate the pendant light(s) with other, existing light fittings in your kitchen, dining or sitting areas. Or you could match pendant lights with other materials such as wall tiles, cupboard handles or soft furnishing colours for a coordinated design scheme.